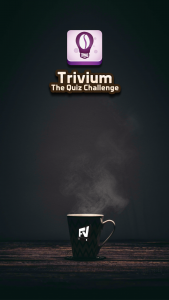 Trivium – the quiz challenge, is simple and fun trivia quiz game in which you can explore and unlock many categories with new questions, solve them and progress through the game. Participate in many challenges and compete with other players by climbing to the top of the rankings. Learn by solving trivia quiz questions made by big community created by thousands of people from all over the world. So do you accept the challenge? Join and show how many trivia can you solve without making mistakes! ● More than 500 trivia questions ready to solve! ● Earn gold, get rewards, and climb to the tops. ● Many achievements are just waiting to be unlocked! ● Play and compete with your friends and other players! ● Avatars to win in many different types of challenges. ● Battles between you, your friends and other players.